RACE, the Radiometer Atmospheric CubeSat Experiment, is a 3U CubeSat mission of the University of Texas at Austin and NASA’s Jet Propulsion Laboratory, dedicated to demonstrate a small radiometer payload to obtain measurements of atmospheric water for a variety of purposes. The overall objectives of the mission are to advance the technology of the novel 35nm indium phosphide receive subsystem of the radiometer, to advance the technology of a 183GHz water vapor radiometer on a CubeSat platform and thus reduce risk for future missions. The RACE CubeSat bus was developed at the Satellite Design Laboratory at the University of Texas based on the 3U form factor, measuring 10 by 10 by 30 centimeters in size, weighing 5.5kg. Half of the satellite’s volume is used by the bus elements while the other half is available to the payload. Power generation is accomplished with four deployable solar panels that deliver about 14 Watts of electrical power that is stored in a 16.3 Watt-hour battery unit and distributed to the various satellite and payload systems by dedicated EPS hardware. The satellite will be spin-stabilized at 30RPM. Attitude determination is accomplished with a sun sensor suite, a three-axis magnetometer and an Inertial Measurement Unit that will keep track of body rates and rotation rate. Active attitude and roll control is provided by magnetic torque coils. 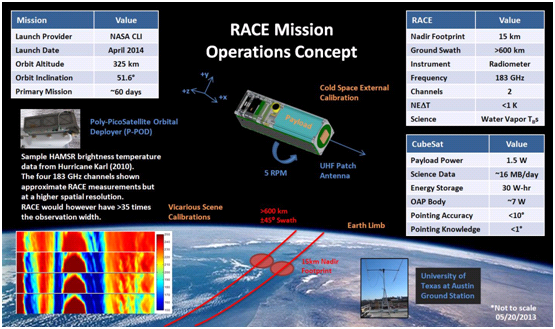 RACE uses a main processor to control all satellite functions and command the payload unit. A memory board is used to store payload and housekeeping data that is downlinked using an L3 UHF Cadet Radio that can achieve a daily downlink volume of over 48MB. A ground station at the Wallops Flight Facility will be used by the mission with at least two daily downlink passes. The main payload of the RACE spacecraft is CHARM, the CubeSat Hydrometric Atmospheric Radiometer Mission. 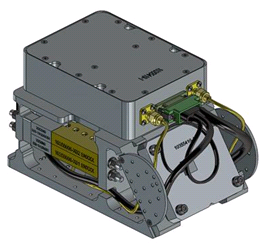 CHARM is a miniature 183GHz radiometer ideally suitable for smallsat missions. The device measures microwave radiation at 183GHz which can be used to measure atmospheric water vapor which is a data point needed to assess the water cycle and Earth’s energy budget. A key element of the payload is a low noise amplifier front end using a 35 nm Indium Phosphide High Electron Mobility Transfer process. This process was originally designed by DARPA (Defense Advanced Research Projects Agency) for application at over 300GHz, converted by NASA for application at the scientifically valuable 183GHz wavelength. The radiometer payload consists of a support structure, an antenna, an antenna reflector, a calibrator and amplifier, a diplexer, microwave detectors and command/data interfaces. CHARM uses an off-axis parabolic reflector and gain horn to receive microwave radiation that is focused onto a single point while the horn amplifies the RF radiation and introduces it into a wave guide followed by digitization and data storage. 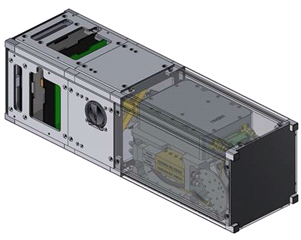 The payload will require 1.5 Watts of power during operation and takes up 1.5 Units of the CubeSat. At nadir, the radiometer has a 15-Kilometer footprint with a total ground swath width of 600 Kilometers, pointing from –45 to +45 degrees off-nadir. Calibration is accomplished with pre-flight characterization and cold-space imaging. Overall, the instrument characteristics compare favorably to larger radiometer payloads when looking at the size, mass and power requirements of the CHARM instrument. 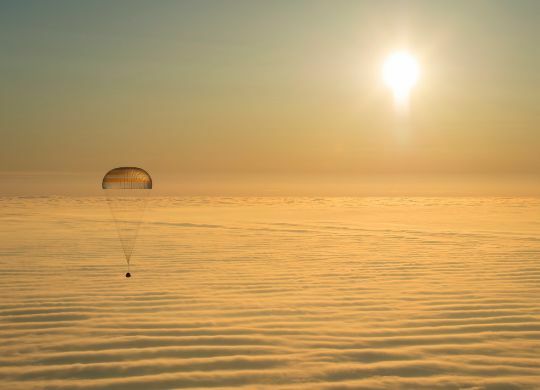 RACE is hoped to operate for up to a year to demonstrate the CHARM payload for future application in meteorology and climate science spacecraft.